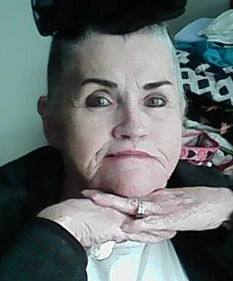 Shirley J. Rister, 67, of Lorain, died Sunday November 18, 2018 at Continuing Health Care of Milan after a short illness. She was born August 23, 1951 in Lorain and had been a lifelong Lorain area resident. Shirley graduated from Admiral King High School in Lorain and studied nursing at Lorain County Community College in Elyria. She became a Licensed Practical Nurse and worked in private duty nursing most of her life. Shirley was a member of Lorain Baptist Church. She enjoyed going to church, flower gardening and making beaded necklaces and jewelry. She is survived by her daughters: Brandy West of North Fairfield, Candy (Jason) Cuson of Greenwich, Dusti Cochran of Amherst and Heidi Cochran of Columbus, 12 grandchildren; 3 great grandchildren and sister Dawn Day of Arizona. She was preceded in death by her parents Shirl & Margaret Rister (nee Gooch) and brother Allen Rister. The family will receive friends Monday November 26th from 10:00 am until the time of funeral services at 11:00 am at the Gluvna-Shimo-Hromada Funeral Chapel, 3224 Broadway Ave, Lorain. The Rev. Bob Eddy, pastor of Church of Christ, will preside. Burial follow in Ridge Hill Memorial Park in Amherst Township.